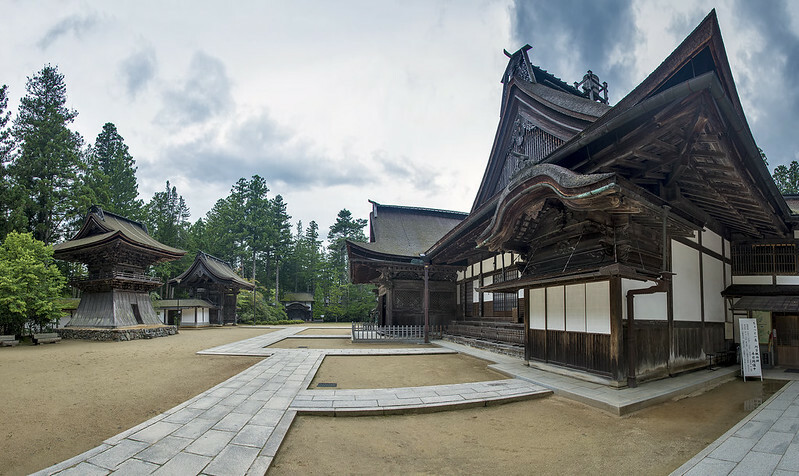 Should you ever find yourself on Koyasan, here is a little secret. Everyone is eating breakfast and dinner (in their shukubo) at about the same time. Set your meal time to be on the edge of those times (first or last). 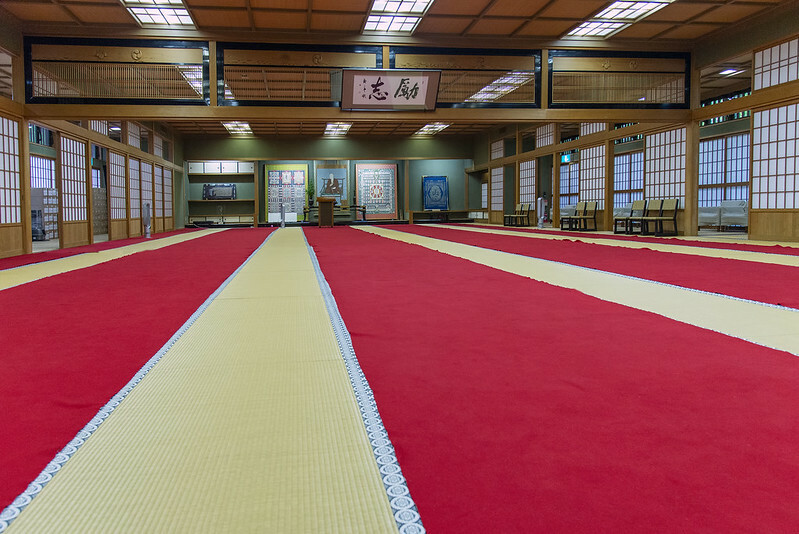 If first, head out immediately after eating to find deserted, instead of crowded, temples and shrines. If last, explore just before eating. You’ll be amazed at how much better a temple site can look and feel when you are the only one there. Japan’s temples and shrines, to me, are far more special alone. New Year’s Day crowds can be interesting too, but visiting a temple or shrine with loads of tourists isn’t usually my thing. Here is a tip if you are on Koyasan. Some temples, like Kongobuji, close at 5. Dinner at most of the lodgings is at 5:30 or 6. Most people head back to their lodgings before 4 to relax before dinner. You are better off relaxing during the middle of the day when the places are crowded and experiencing the temples between 4 and 5 (or early in the morning) when they are empty. Such was the case when I walked up through this gate to Kongobuji after 4 p.m. (passing many tourists scurrying back to their temple lodgings). I was the only one there!